Storage condos for sale. Designed to protect. 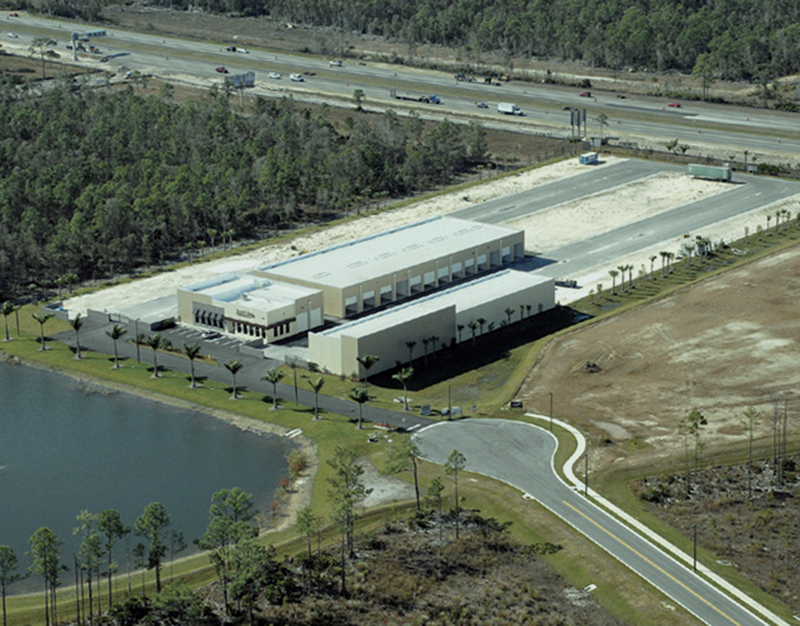 Located along Interstate 75 in Fort Myers, Vehicle Fortress is an exclusive storage facility community. There are a wide variety of sizes to choose from, along with handy amenities like spotless restrooms, showers and laundry facilities. Designed for residential owners to keep their cars, boats, RV and personal items in a secure, enclosed and convenient unit. The hot Florida sun and rain can do a lot of damage over time to your vehicles. Protect them in a private, enclosed, air-conditioned space. 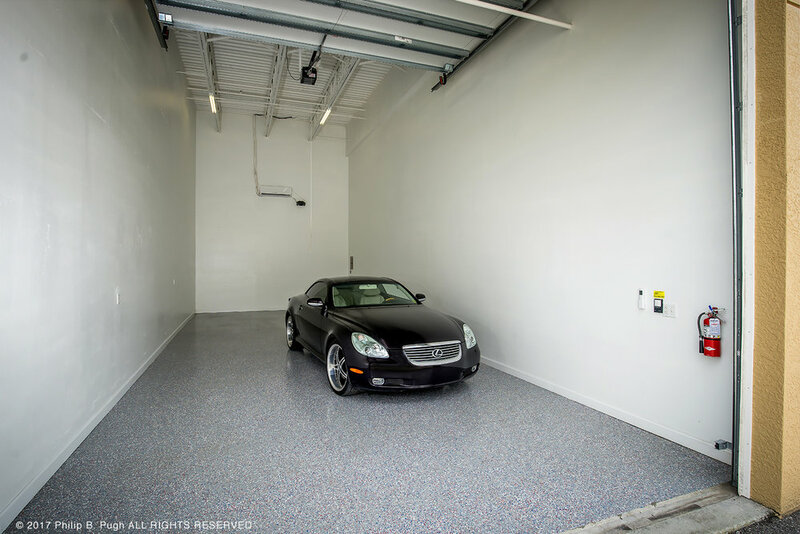 Vehicle Fortress is more than just a storage complex – it's a community, and any good community comes with amenities. 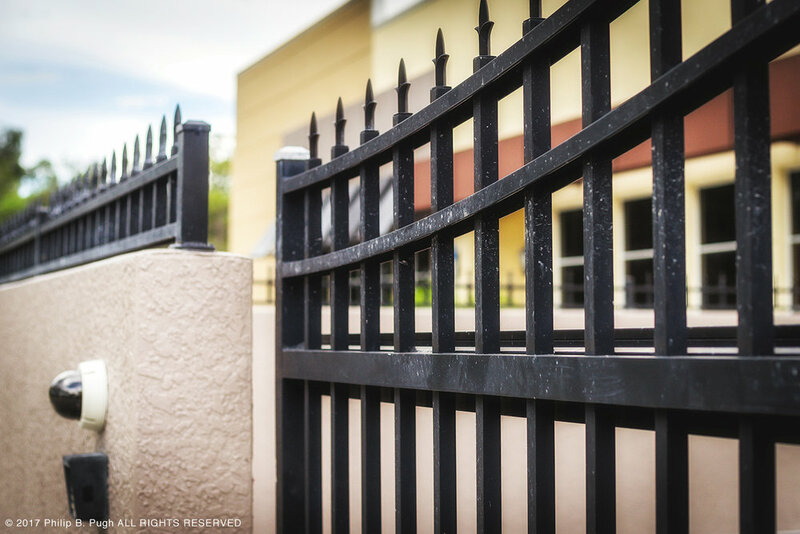 Gated, secure, private and convenient. 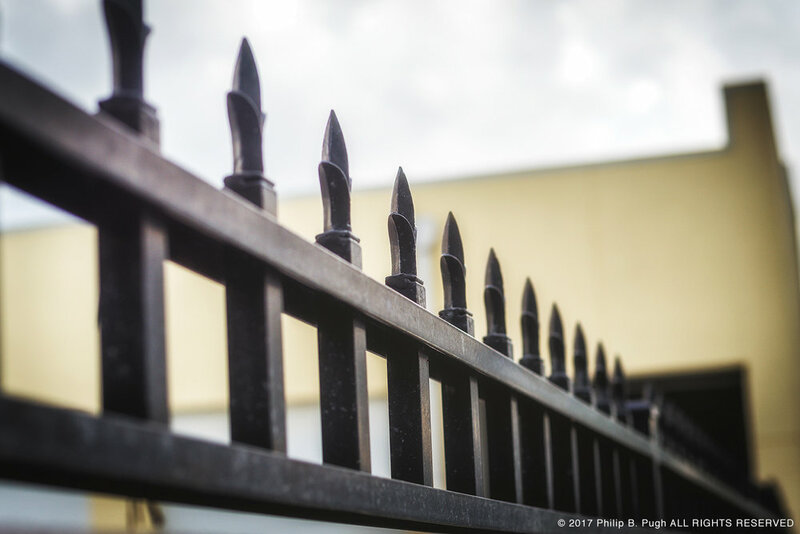 An eight feet high perimeter fence. 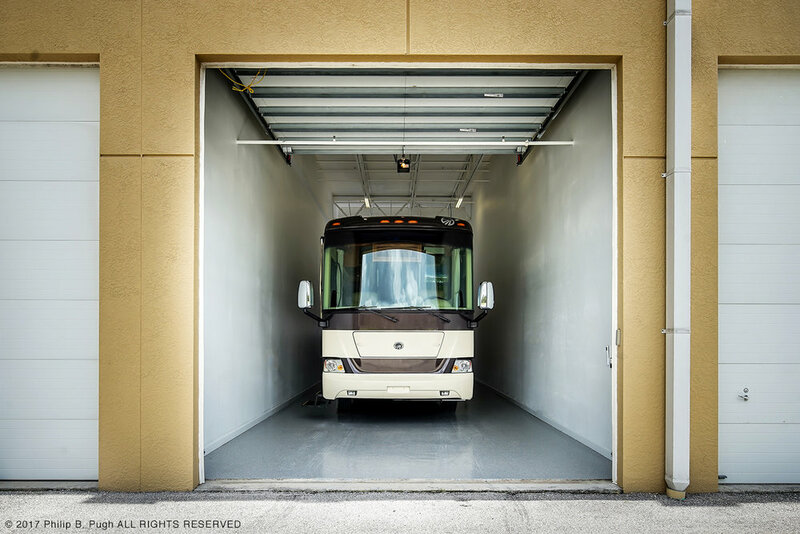 65' aisles for easy maneuvering the longest motorhome, 5th wheel, or trailered boat. A 50 amp dedicated RV electrical outlet in each unit. Individually metered. Multiple electric outlets and overhead lights. Dump stations for your RV or boat, and washing bays for all vehicles. 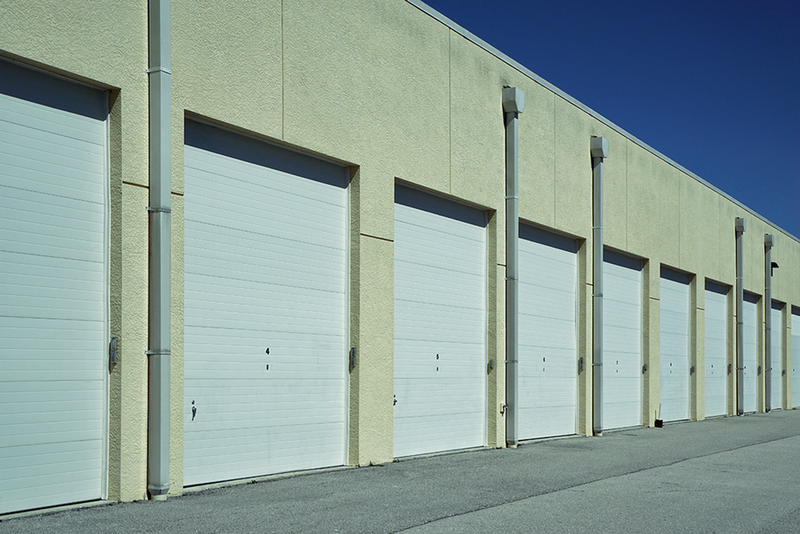 Motorized and insulated garage door either 12' or 14' wide and 14' high. 18'+ clear height inside every unit. Buildings A and D have finished with a six part epoxy floors. Spotless restrooms, showers and laundry facility. 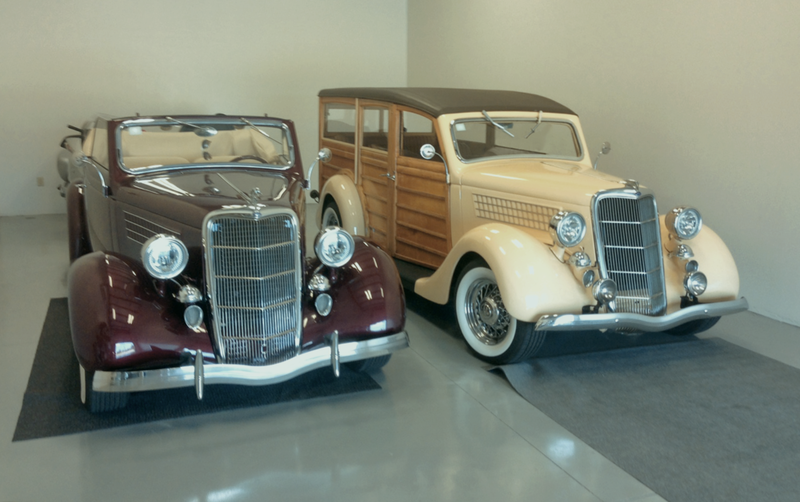 Many of our owners are not only collecting cars as a hobby, but realize it is a significant investment. 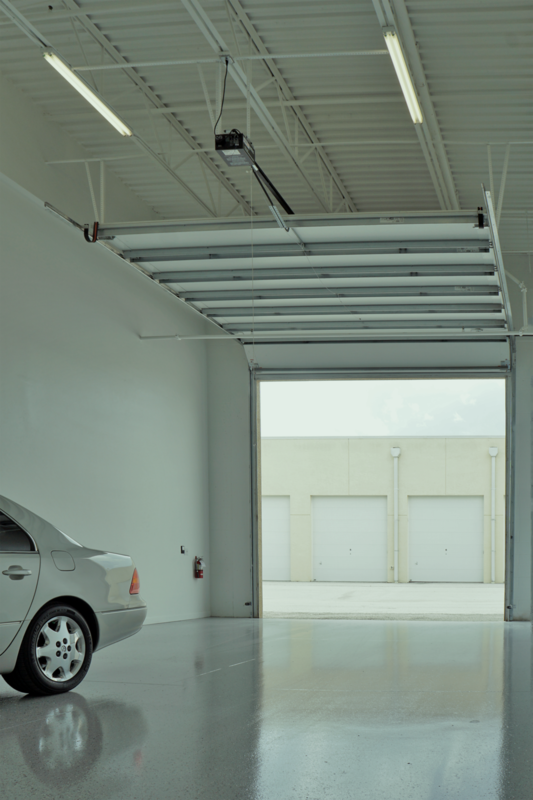 Vehicle Fortress' 20 feet ceilings with lifts allows owners to store their entire collection in a private, secured, air conditioned space away from storm surges and other severe weather conditions. Several owners leave their cars at Vehicle Fortress because of its close proximity to the Fort Myers International Airport. Conquer every RV’s number one enemy that causes deterioration of paint, rubber, canvas, wood and upholstery; Weather. It is the enemy of your prized vehicle and particularly the relentless sun and humidity of coastal Florida. 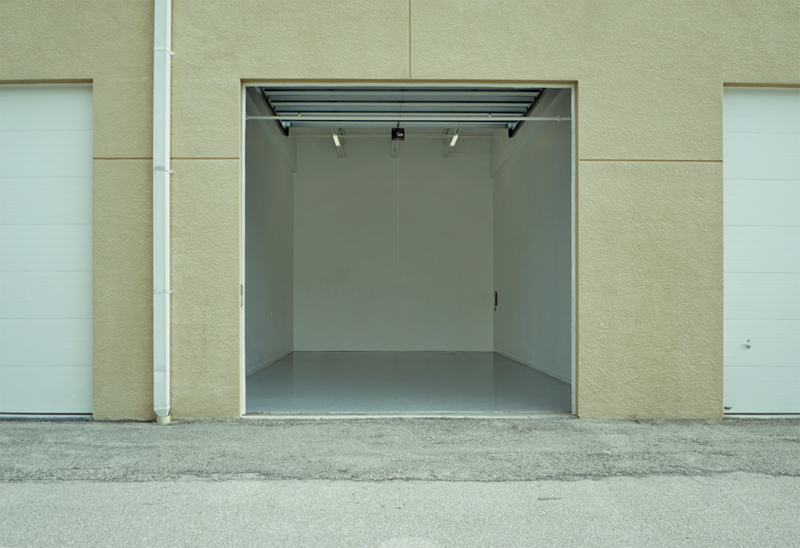 See what RVTECH has to say about proper storage. In front of every unit is a minimum 65’ clearance to maneuver your trailer and boat. More boats and their engines are stolen here in Southwest Florida than cars. Keep yours safe. your vehicle no matter what it is. Why not? We don't discriminate. Living it up in Fort Myers, Florida. Fly in and pick up your Vehicle in just minutes. 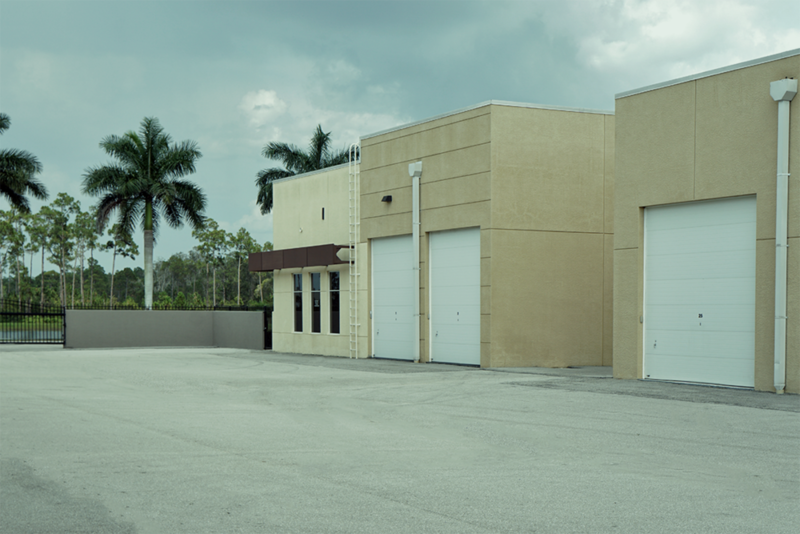 Our facility is conveniently located next to the Southwest Florida International Airport (RSW) and abuts Interstate 75 with exits at Alico Road, Terminal Access Road and Daniels Parkway.